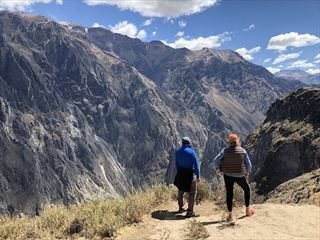 Peru is an incredibly diverse and fascinating country to visit; From its vast landscapes and rich culture to its ancient Incan ruins and magnificent sights. 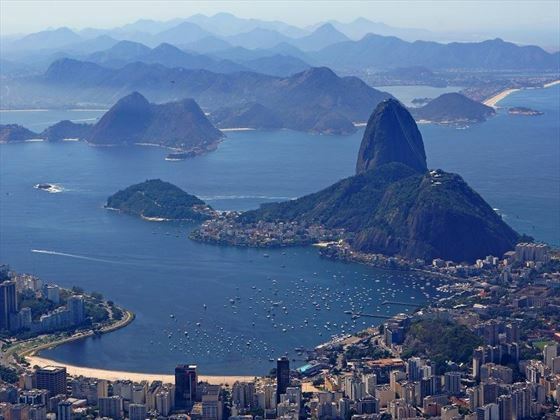 Brazil is a vibrant land of luscious rainforests, breath-taking architecture and stunning scenery. Starting in Lima and ending in Rio De Janeiro, this 13-day adventure immerses you into the incredible scenery and highlights of these two wonderful South American nations. Your holiday will commence in the glorious, historic capital city of Peru, Lima. Here you will discover some of the most treasured architecture in the city, as well as the chilling catacombs found in the San Francisco Monastery. 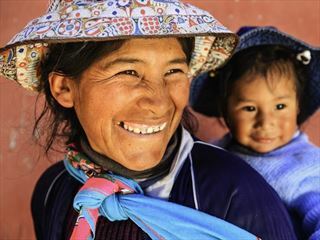 You’ll also explore stunning colonial temples found in Cusco, visit a traditional Inca community and join the locals in their everyday lives, witness the incredible scenery of Machu Picchu, traverse the stunning snow-capped Andes of the Peruvian highland, and travel to a village that celebrates a traditional way of life with no electricity or roads anywhere to be found. As you make your way to Brazil’s world-famous capital, you will encounter the unforgettable Brazilian Falls, explore some of the Tijuca Forest up Corcovado Mountain, witness an up-close encounter with Christ the Redeemer, and explore some of the glorious scenery and sights found in this fabulous city (SAT). Upon arrival at Lima Airport, you will be welcomed and transferred to your hotel. 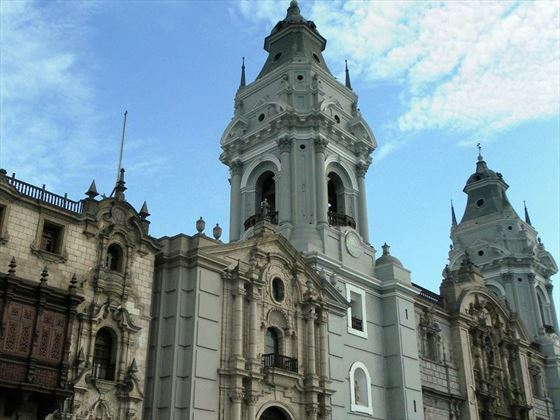 Today you will enjoy a sightseeing tour through Lima, visiting the Plaze de Armas, San Francisco Monastery and Larco Museum. Later, you will have the option to visit Parque de la Exposicion, one of the largest waterparks that exists within a city, with illuminated and colourful fountain structures. The highlight of each evening is the music show at the biggest fountain, featuring water dancing at the rhythm of the tunes. You’ll then enjoy a buffet dinner in a famous restaurant located in Barranco where you will enjoy a traditional folk-dance performance. 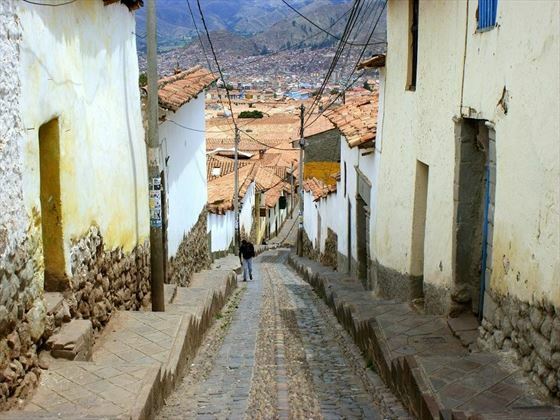 Transfer to the airport for your flight to Cusco, and on arrival you will start the tour with a visit to a Chinchero Community. Here are the remaind of what was the royal hacienda of Tupac Inca Yupanqui, as well as colonial temples built on Inca’s foundations. The main attraction is the traditional Sunday Market, which sells a selection of handicrafts and textiles made in authentic pre-Columbian Style. 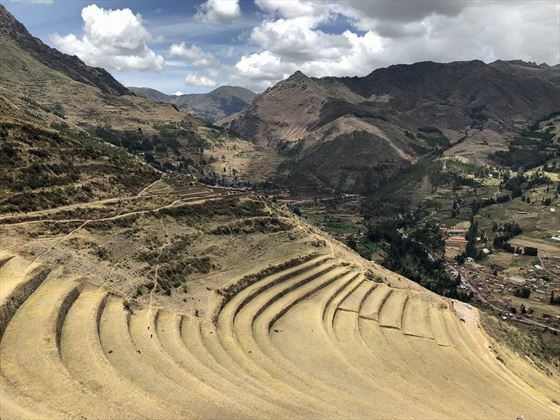 You’ll have a choice of optional tours to enjoy for this morning; choose from the Moray and Maras excursion, starting with a trip to Moray, a little Andean community which is famous for its embedded amphitheatre. Then you’ll be transferred to the Salt Mines or Maras, where the local people will demonstrate their ancient techniques to visitors and even allow you to participate. 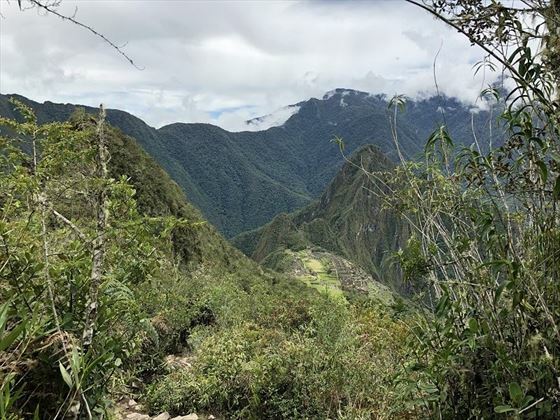 The second choice is trekking to the terraces of Yucay, which is an easy and relaxing one-hour hike within an abundance of beautiful nature. 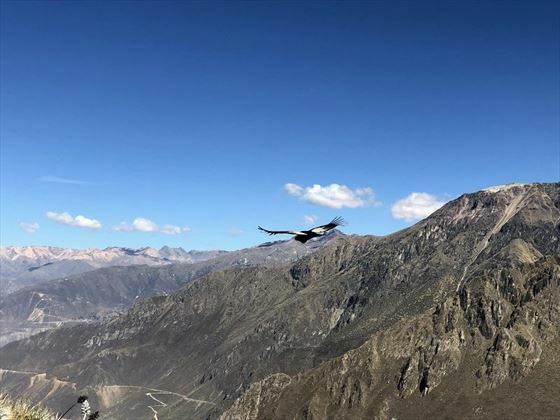 In the afternoon, you’ll visit Ollantaytambo which features a magnificent Inca Fortress towering above the town. You’ll climb up the stone terraces and stairways to reach the top of the hill, where you will find a collection of beautifully carved walls and ancient ruins. 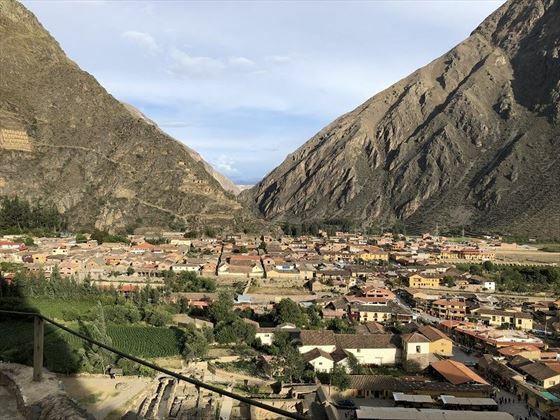 Transfer by bus to the train station of Ollantaytambo where the tour starts by train, travelling through the fertile plain of Urabamba Valley and on to Aguas Calientes. 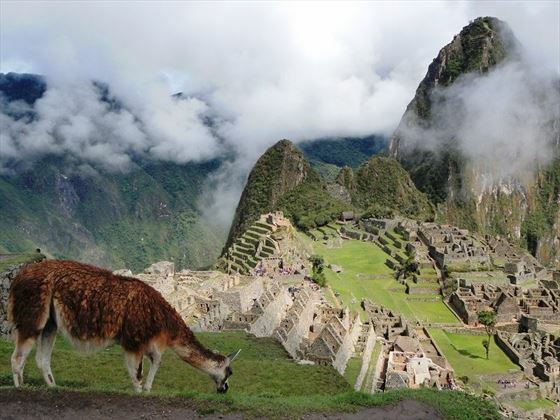 From there, a small bus will drive up the steep mountain to Machu Picchu, one of the most impressive sites in the world. 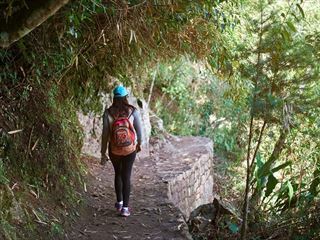 Enjoy a two-hour guided visit of the ruins and return by bus and train to Ollantaytambo before transferring to your Cusco Hotel. Today will begin with a half-day city tour of Cusco, and you’ll be shown the exact centre of the Incan Empire, the Plaza de Armas. 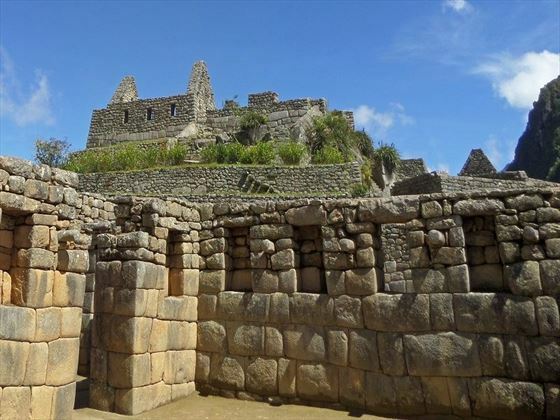 Here, you can also find the cathedral built on the ruins of the ancient Inca Palace. Your next stop will be the old town which features magnificent renovated colonial buildings and architecture, and after wandering around you’ll proceed to Sacsayhuaman, a ruin site which offers incredible views over the city. The afternoon is free at leisure. 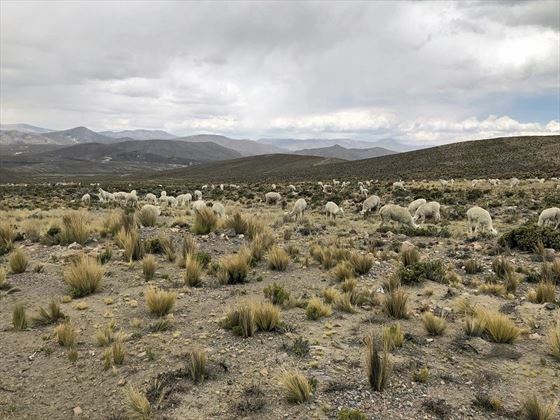 Embark on a full-day bus tour from Cusco to Puno, which leads through the Peruvian Highland along the snow-covered peaks of the Andes, and on route you’ll stop at the town of Andahuaylillas, the ruins of Racchi and the small town of Pucara. Upon arrival in Puno, you’ll be transferred to your hotel. 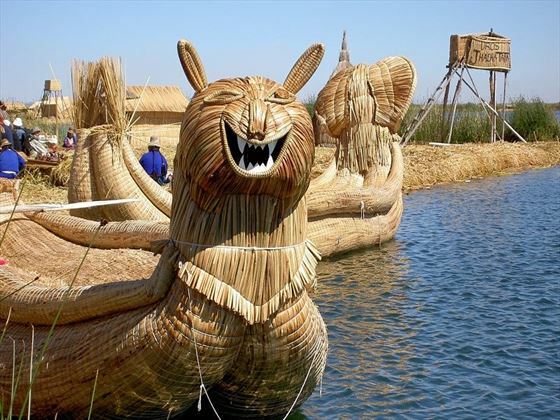 In the morning, you will be picked up from your hotel and transferred to Puno’s dock, where you’ll depart towards the Uros Islands on Titicaca Lake. After visiting these 40 small floating islands, you will continue by boat to Taquile Island, where there are no roads or electricity and the locals maintain their traditions and culture. In the Main Square, you’ll find a cooperative shop which sells woollen goods and hand-woven items, as well as a small church. Transfer from the hotel to Juliaca Airport for your flight to Lima. Breakfast, Lunch and a Plane Box Dinner included. Today you will transfer from your hotel to Lima Airport, where you will catch the flight to Iguazu and from there, transfer to your hotel for the night. 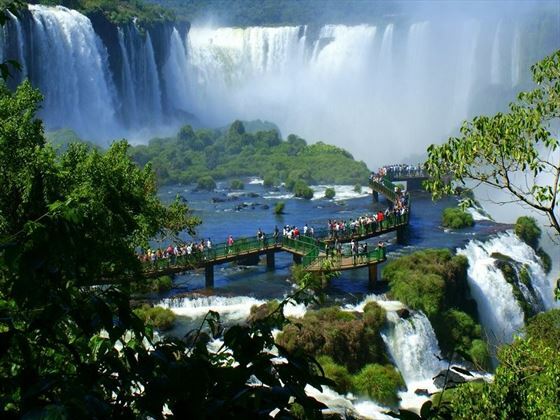 You will leave your hotel on the Brazilian side by motor coach and cross the Iguazu National Park towards the Brazilian Falls. You’ll take a walk along the paths following the cascades and then along the catwalk which leads you very close to the bottom of the Devil’s Throat. This spot presents spectacular views and photo opportunities. Afterwards, you’ll take an elevator to go back up to the road, where you will board the motor coach which will take you to the Argentinian side of the falls. You’ll then make a short stop at the Visitor’s Centre, and proceed from there along the Inferior Circuit, the down-river falls, the superior circuit and the up-river cascades. The ecological jungle train leads you to the most impressive observation point of the falls – the devil’s throat. Afterwards, you’ll transfer to your hotel on the Brazilian side of the falls. Transfer from hotel to the airport for your flight to Rio de Janeiro. Arrival in Rio and transfer to your hotel, check-in and take a stroll along the beautiful Copacabana Beach. Leaving the hotel, you will proceed to Cosme Velho Station to board a cog-train for the 20-minute ride through Tijuca Forest up Corcovado Mountain which stands at 748 metres high. This ride offers wonderful views of the lush forest vegetation, and the scenic landscapes of the beaches and city. Upon arrival to the top of Corcovado, proceed to the top lookout where the famous Christ the Redeemer stands, after taking some time to admire the stunning panoramas, you will descend by train. You’ll then proceed to the Urca District to board a cable car for the ascent up Sugar Load Mountain. Then you’ll visit the downtown area, passing by all the famous cathedrals, museums and architecture. As an optional excursion, you may visit a folklore and carnival show in the evening, featuring skilled dancers, entertainers, samba bands and wonderful costumes. 4 Jan, 18 Jan, 1 Feb, 8 Feb, 15 Mar, 29 Mar, 26 Apr, 10 May, 24 May, 7 Jun, 28 Jun, 5 Jul, 6 Sep, 20 Sep, 11 Oct and 15 Nov.